Here is one such recipe that is gluten-free, low-fructose and low-FODMAP. The only issues with this recipe may be with the dairy products. Hard cheese, such as cheddar, and heavy cream are very low in lactose and I don't seem to have much issue with them. I'm really not sure if I'm lactose intolerant. I was always a big cottage cheese eater and recently stopped eating it and I feel maybe just a tad better. I'm still not sure if it's enough of a difference to go completely dairy-free, though. I love cheese and I love this casserole. 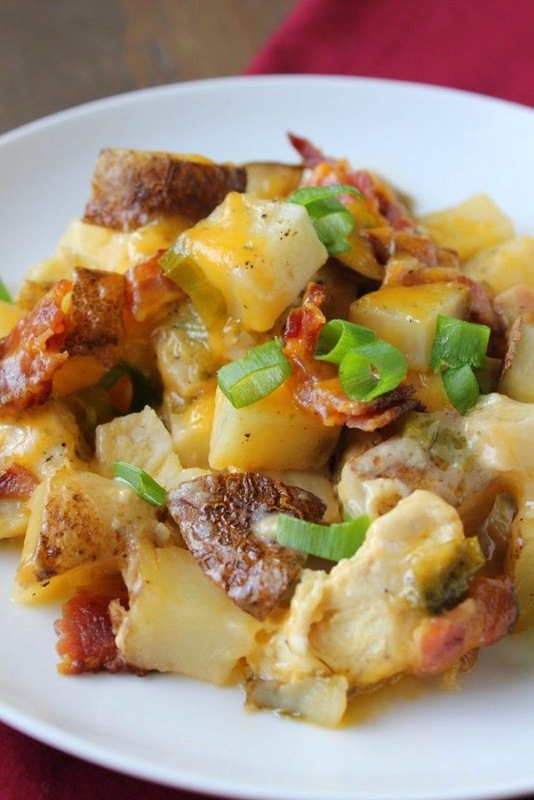 It started out as just a chicken and potato casserole, but then I made some changes to it and I decided that it was so similar to the ingredients in a loaded baked potato, I would just call it that! 0 Response to "Loaded Baked Potato & Chicken Casserole"